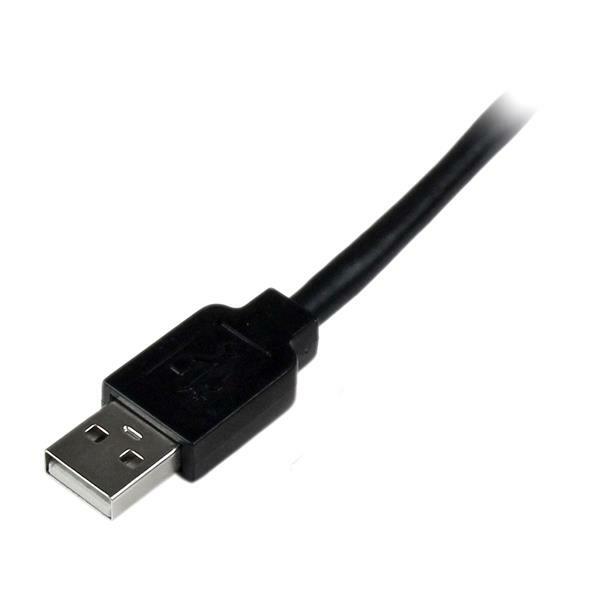 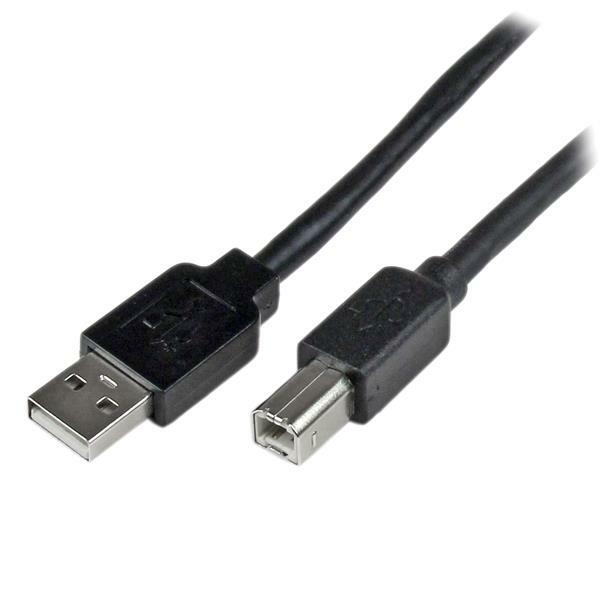 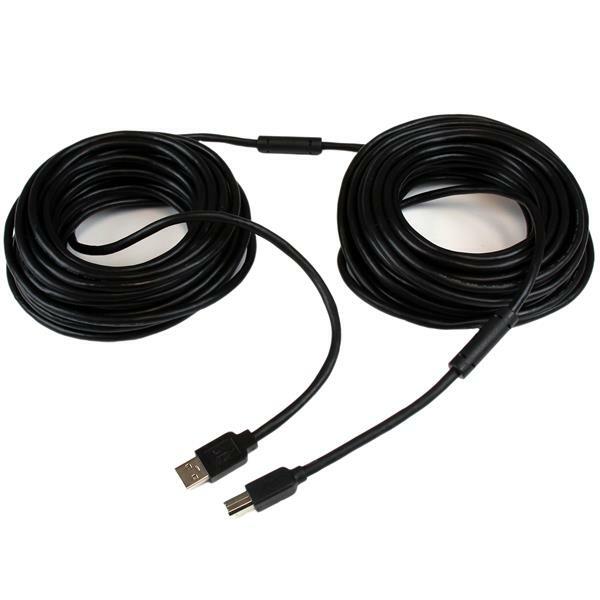 The USB2HAB65AC 65ft/20m USB A to B cable incorporates bus-powered active circuitry, which enables it to perform beyond the 5-meter limit of a standard USB cable. 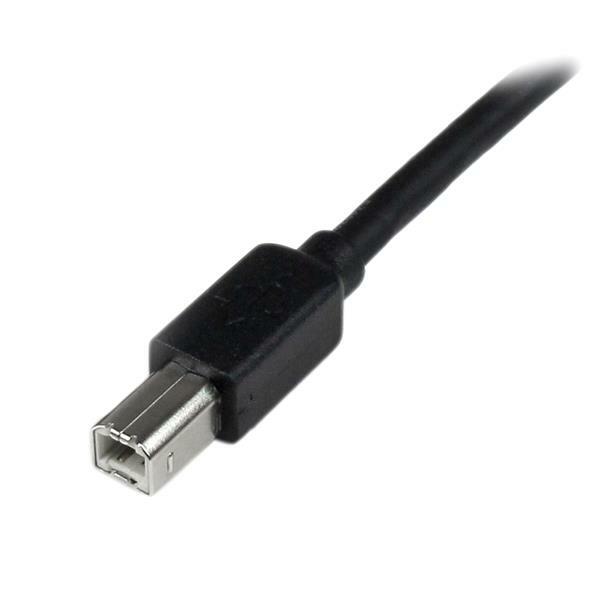 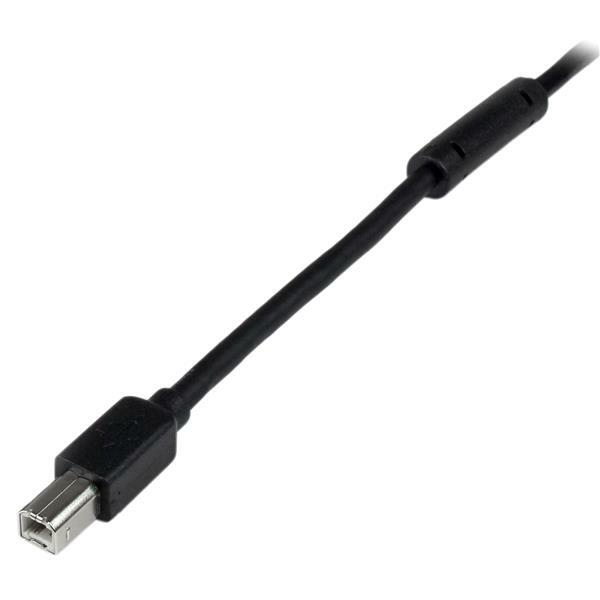 The longer connection provides enough cable length to connect your USB 2.0 peripherals up to 20m away from your PC, Laptop or Server, allowing you to position your devices as needed. 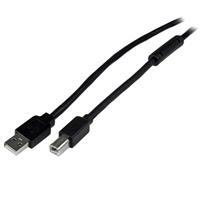 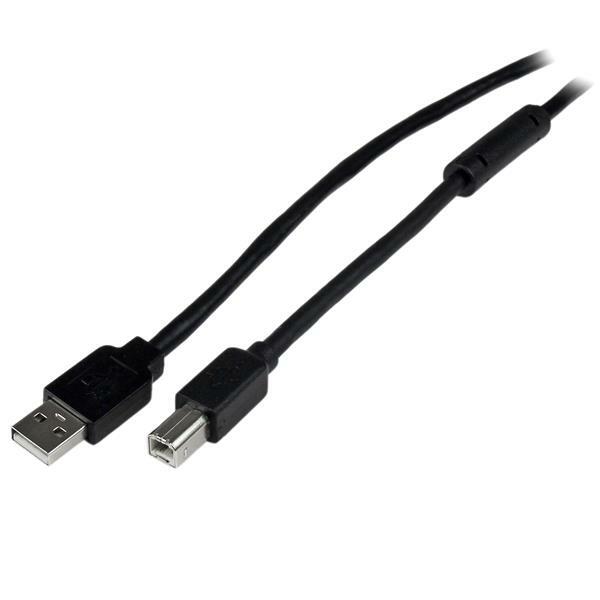 This active USB 2.0 cable is designed with top quality materials for high durability, and is backed by StarTech.com’s 2-year warranty.